Not all umbrellas handles are fitting in. Not very stable. It’s hard to play in the rain without one, however I find this a bit chunky and oversized. It’s not good to fold the trolley with it. I have it off most of the time only mounting it if it’s raining hard. I was replacing an item which I had broken so new how to use it. 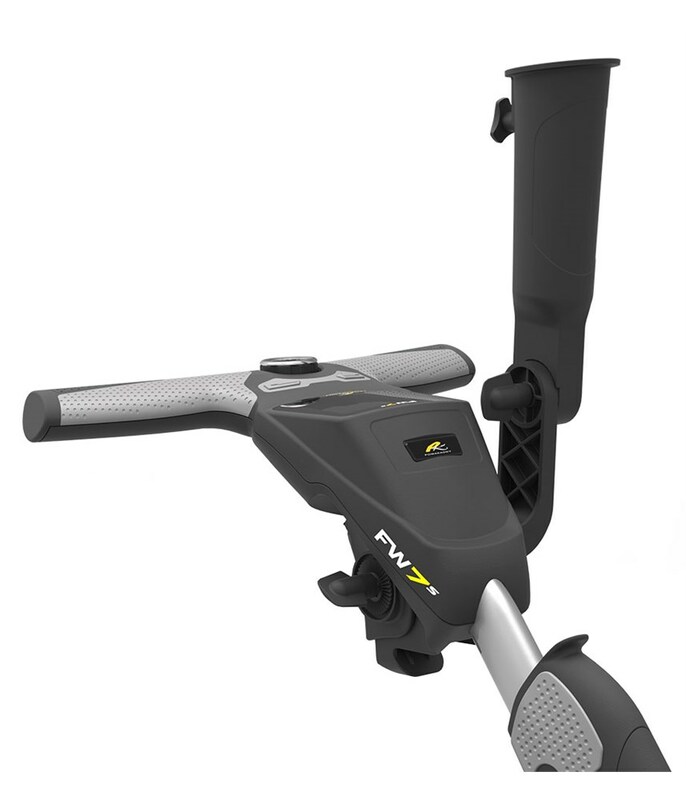 A must have for a Powakaddy, ease of use and installation. reliable and stable umbrella holder in all but the windiest of weather. No comment. Good product. Very easy to use when it rains. 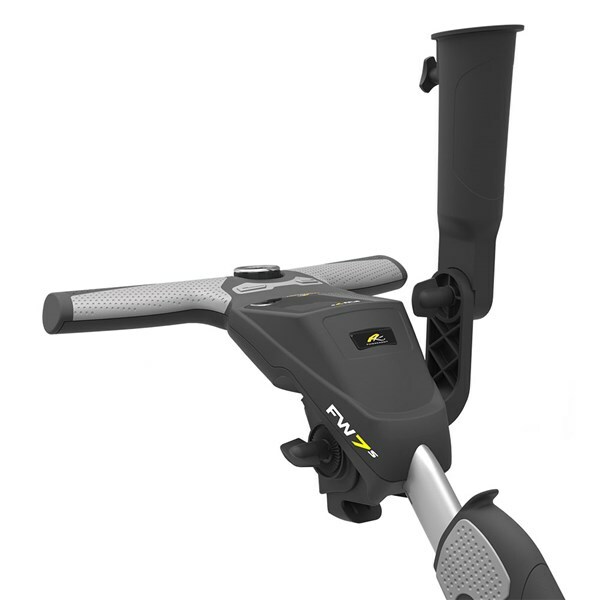 The Powakaddy Universal Umbrella Holder for 2017 is compatible with the Compact C2 trolley and older models. This should be an essential accessory if your own a Powakaddy electric trolley. It is super easy to fit, there are multiple mounts included in the box so that it will fit with your trolley. It can stay attached to the trolley when being stowed-away and the bracket allows you to adjust the angle of the umbrella holder so that you and your golf bag can stay dry or in the shade at all times.